The importance of class A IP Hosting in-terms of SEO. Out of these classes A B C are the main ones. And there all unique in one way or the other. But Class B IP’s are more unique than class C and Class A IP’s are the most Unique out of them all. 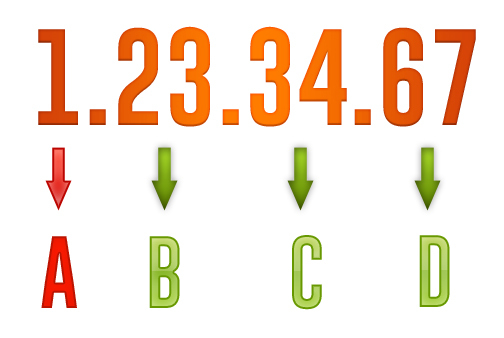 Each class A IP is numerically unrelated to each other while class B and C IP’s can relate to each other. There are limited number of Class A IP networks available on the entire world wide web, approximately about 127 A Class IP networks. Therefore Google and other search engine algorithms focuses mainly on unique C-Class IP’s in their ranking matrix. Most of these Search engines have to take completely out of the box routing paths to reach to each A Class IP. For this reason Google does not emphasize heavily on A class IP’s because there are way too many IP’s in each class A network, However this does not mean that Class A IP’s are not ranked or completely ignored, though it means that A class IP’s are hardly banned or blacklisted. In other words the only way for a search engine to block these IPs is to black list the whole Internet!! Using A Class IP’s on your SEO campaigns can make a real difference and get you to the forefront of all your competition. We at Goviphosting.com proudly offer this extremely rare value added product for the lowest of price you could imagine. Try our A Class IP’s on your campaigns and experience the real power of SEO Hosting. Ownership of these IP networks are scattered around many different companies and organizations worldwide. Super fast SSD servers on A-grade enterprise level hardware and software.